WELCOME TO WESTERN HOME JOURNAL’S SHOPTALK. 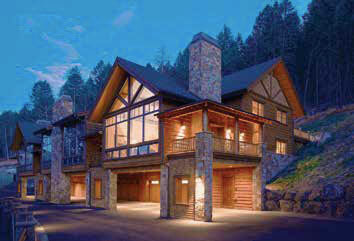 Admit it, you have an inquiring mind, and you want to know about the team building your Jackson Hole dream home. We understand the inclination. So we decided to bring you ShopTalk, conversations with the talented pros designing, building, and outfitting your homes. 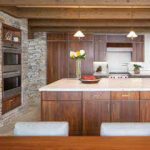 Snake River Interiors is a Jackson Hole-based full-service residential and commercial interior design firm that has been in business since 1998. 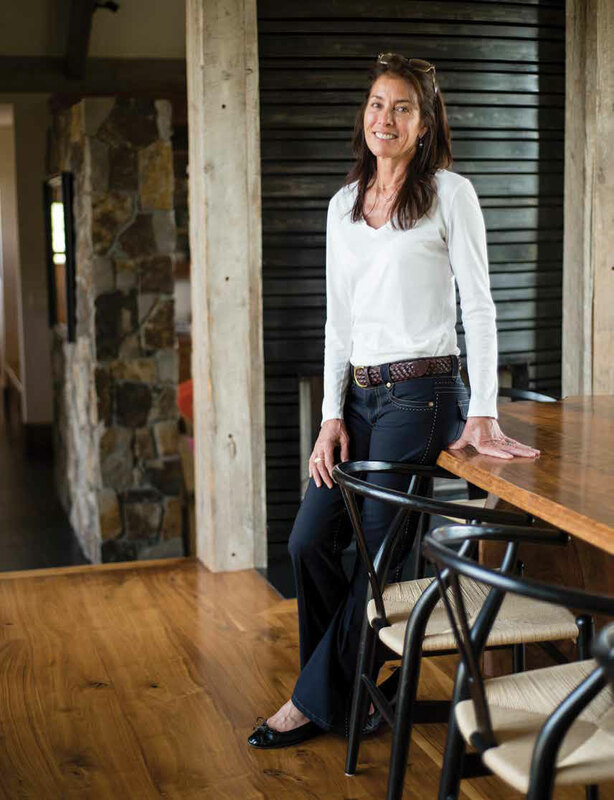 Owner and Principal Designer Elisa Chambers and her design team offer a personal approach with unwavering commitment to both beautiful and functional design. 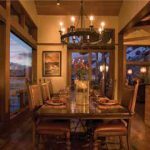 Snake River Interiors works with both private and corporate clients across the country to create timeless spaces while they explore a range of styles, each infused with their signature balance of elegance and comfort. 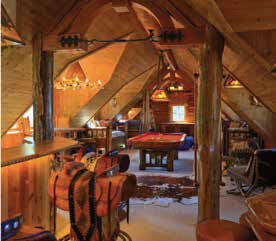 Their Jackson Hole studio is a comprehensive working studio and design library. 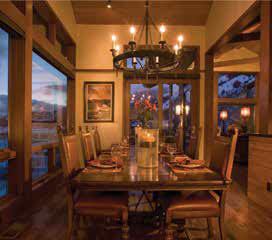 We create elegant and intimate interiors inspired by the rich textures and resilient beauty of the High West. While Jackson has been our home for more than 20 years, our sophisticated style is grounded in the unique influences each member of our team brings to the drawing board. 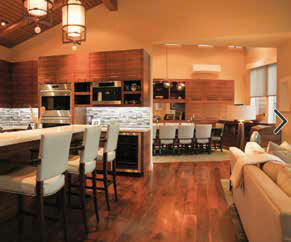 We guide our clients through the selection of furnishings, plumbing, and lighting fixtures. We choose accessories and last, but certainly not least, place art from our client’s current collection as well as their new acquisitions. Our scope of services also includes designing custom furniture and lighting. Throughout this process, we continually collaborate with the architect and client while designing the interior architectural spaces. 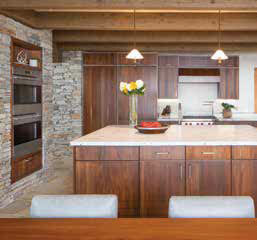 Our portfolio ranges from Montecito, CA, to Martha’s Vineyard, the Yellowstone Club to Sanibel Island. We work from coast to coast. What inspires you?So many things—the innocence of my children, the transformation of the valley with the seasons, the 50 shades of green in the spring, and the 941 shades of white (according to Benjamin Moore) in the winter! I also love beautiful Scandinavian design and furniture, architects of days gone by, and furniture designers such as Phillipe Stark, Finn Juhl, Hans Wegner, and Axel Vervoordt—just to name a few. 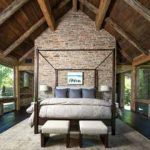 Great design couples simplicity with sophistication, using this design tension within each space to curate the perfect balance. The entire process is intriguing. I love cultivating and fostering the relationship with the clients as well as gaining an understanding of the way someone lives and creating a space with that person; the final result should be a reflection of how they live and what their initial vision was for their home. The entire process—from developing the relationship to the end result—fuels my passion for design. Describe your process: How do you work with clients, contractors, and architects? We take a holistic approach to every project. The team meets weekly, whether by phone or in person, to discuss what’s upcoming, the design intent, and practicality. We welcome involvement throughout the design process which ensures collaboration from all of aspects of the design team, from the architect to the client. Fresh, relaxed layers of seemingly simplistic yet sophisticated, livable interiors with a splash of irreverence. What is the most exciting new product development in your field? We are so excited about 3D computer-generated design, which helps everyone get a better sense of the design project. 3D printing is amazing! Josephine, my mother, has always been a great inspiration. My mom was a national horticultural judge, and I watched her create throughout my entire life. She toted me around shopping for antiques from birth. Hunting for treasures. I have very fond memories of that. What other specialties do you have? All of our designers bring something extra to the table. Each is trained in 3D computer design and our team designs custom lighting and furniture. In addition, our graphics and advertising are conceptualized and executed in-house. Whenever I take myself too seriously! Watching my children act like me. Spring. Just when you think you can’t take winter anymore, life sprouts again. 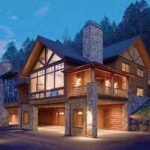 JH Builders is built on a wealth of experience in the construction industry and a deep understanding of building for mountain environments. 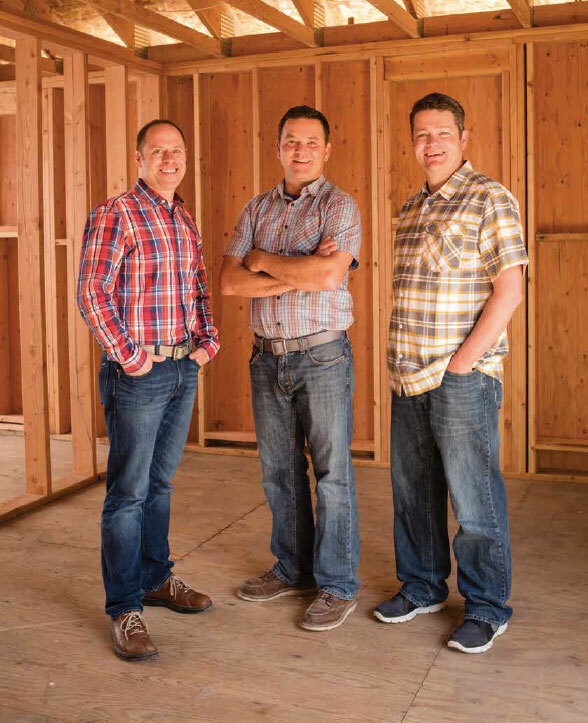 The three partners—Adam Scott, Andrew Miller, and Mike Wilson—bring their varied strengths to the business—including accounting, project management, and architecture—ensuring that JH Builders’ clients have a seamless building experience. 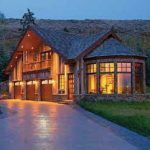 ANDREW MILLER: JH Builders offers general contracting, construction management, renovation, and in-house carpentry to people wanting to build in the Teton County area. JH Builders is a licensed commercial and residential contractor. But our firm is particularly attractive to people in the market for building a home because each partner brings a key specialization—Adam is a licensed CPA and his experience in accounting and finance helps us be good stewards of our clients’ investments in their homes. We are very conscientious when it comes to keeping projects on-time and on-budget. 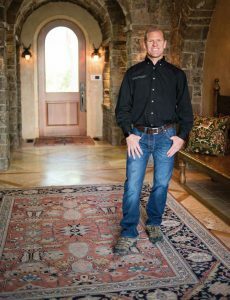 Mike Wilson has an architecture background and brings a wealth of experience designing and building in the Mountain West. My professional background is in construction project management. I’ve been lucky to be a part of some of Jackson’s most dynamic construction projects. We understand how important it is for all parties involved in a construction project to be in good and constant communication and we work hard to make sure our clients have a great building experience. We are working on several really large renovations right now along with new builds. We are seeing an increase in major renovations at our office. They bring unique challenges and have allowed us to be really creative. Recently we removed the roof of a structure completely intact (rafters and all), completed a second story structure, and reset the existing roof structure. 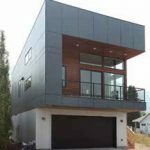 What’s exciting about being a builder in our area is the level of detail and design that is produced by architects and designers. It definitely keeps us on our toes. Our carpenters, tradesmen, and subcontractors really are some of the best around. The expectations of our clients and the level of high-end design really demands perfect results. That’s a challenge we love working with. Our process is open and very collaborative. I mentioned earlier the existing roof structure re-use—that particular suggestion came from the architect and our crane operator helped us sort out the final rigging. We confronted the problem as a team and came up with a creative solution. 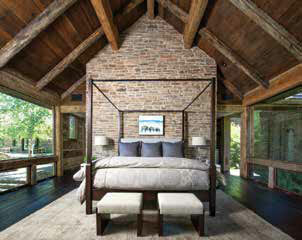 To clients, we suggest getting a builder on board early in the design process. Vet out a builder and get their team involved, have them help source hard-to-find building materials, put together schematic pricing, begin the construction schedule. Any early involvement streamlines the construction process. The different backgrounds between Mike, Adam, and me really make us a motley crew (in a good way!). Mike’s architectural background has given him a great ability to understand an architect or designer’s plan and recognize the importance of even the smallest detail. Adam’s background in accounting and financial roles in real-estate development/construction really keep things transparent, current, and on budget. My background is construction management, keeping all aspects of the project moving forward. 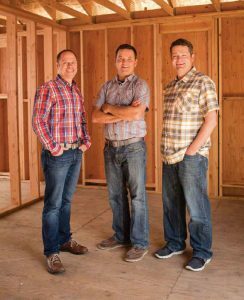 Creating and keeping schedules, managing carpenters, quality control, and most importantly, keeping clients happy is something all three of us do every day. Currently, all of our carpentry is done in-house. 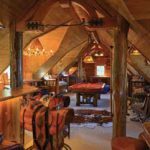 We have remarkably skilled and hardworking carpenters. Keeping our carpentry in-house helps us ensure that the structure and finish meet our standards. It’s one of the ways we feel like we leave our fingerprints on each project. Teton County, Wyoming, has to be one of the best places to ply our craft. The level of craftsmanship is so high and the design is phenomenal. There is so much to learn and experiment with. Apart from work, this is Jackson and summer is here! 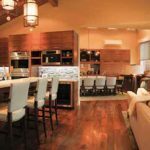 We can help homeowners by conceptualizing, designing, and integrating their entire audio-visual system. This includes lighting, window treatments, audio, video, home theater, networks, smart homes, AV design, control design, CAD. I was 14 when I did my first car audio system. In a 1954 Chevy truck. Since then, I’ve always loved electronics and audio. Music. I love to play the guitar and listen to music. Watching movies is also a favorite. I see smart home technology taking over; it’s in high demand now. Right now it’s more prevalent in high-end homes, but soon, you will see smart technology in every home. What has long been considered a luxury item is becoming a must. away from home, for instance. They wonder—who came to the door, are my pipes freezing, what is the temperature of my house, did I leave my lights on? This can only be done through smart home technology. I spend many hours researching the clients’ needs, wants, and solutions to work within their budget. Communication with the clients is key and that’s where we start. Sometimes we work with the contractors and architects if a client doesn’t have the time. 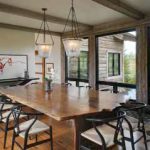 Regardless of who is involved in the conversation, planning is key to building a home that is easy to use, looks and sounds great, and is easy to maintain. CAD design. 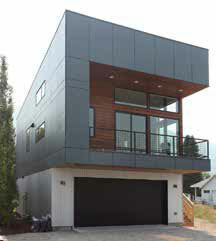 This allows us to work very closely with the architect, designer, and builder to achieve the very best outcome. As detailed as the homes are in the Jackson area, this is a necessary component. From schematics to final location, every component needs to be very detailed. 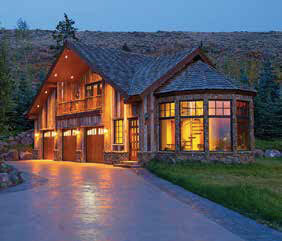 Savant, Apple, and Lutron are our favorites because of the ease of use and reliability. I think our testimonials speak to this well. We hear from clients (and often repeat clients) that we’re the best in the field. Architects give us great feedback and come back time and again referring more projects to us. That is the best measure for whether or not we’re doing the job right. 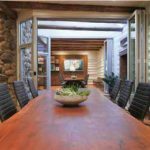 We work with the best clients—from the architects, contractors, and designers to the homeowners. Everyone has high expectations and the projects are always interesting. I also enjoy keeping up on the ever-changing electronics. Given that you’re a musician and a fan of high-end audio, what do you listen to while you work? I like all varieties of music. Music is the artist’s creativity, and each type of music creates different experiences for different moods. The mountains. The majestic peace and quiet—the world away from all the technology. It is good to escape what I do and it keeps me sharp. Abode Luxury Rentals has built a property management and vacation rental service based on trust, loyalty and hard work. Owner Rob Alday says, “We approach our business from an owner’s perspective. We take care of all of the properties we manage like we would our own home. 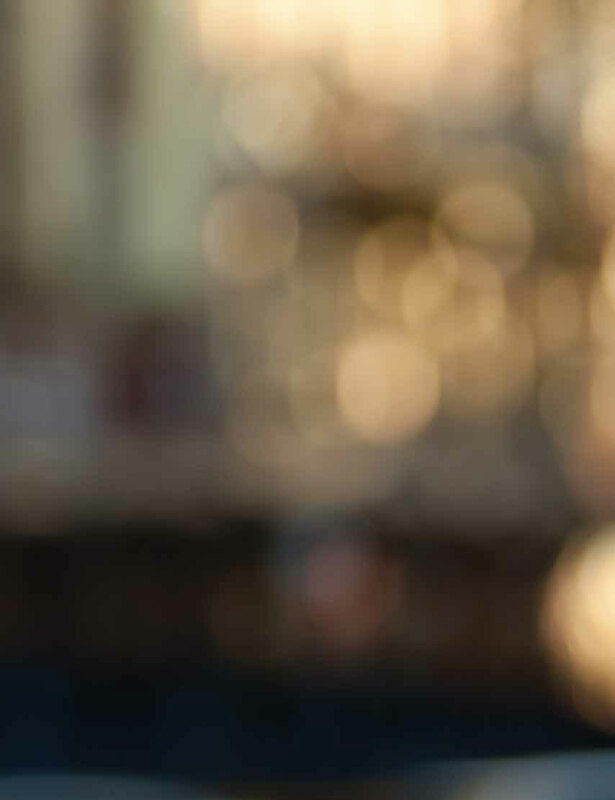 As long-time owners of a luxury rental property, we understand the issues and concerns that owners face and we find that reassures our clients.” Solely focused on the care of and management of homes in their portfolio, Abode brings a heightened attention to detail and care to everything they do. 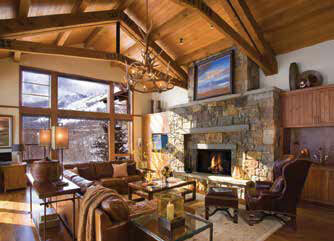 We have offices and rentals in both Jackson Hole and Park City. 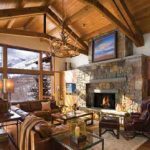 I (Rob) owned a luxury rental property in Park City for many years, which has been managed by a few of the companies there. I kept running into the same problems with poor cleanings and inconsistent rental revenue—I couldn’t figure out why these companies couldn’t get it right. At the time, I was a real estate agent in Park City and when the market began to slip in 2007, I had a few clients ask me to manage their rental properties. I could do a better job than I had seen done anywhere else. 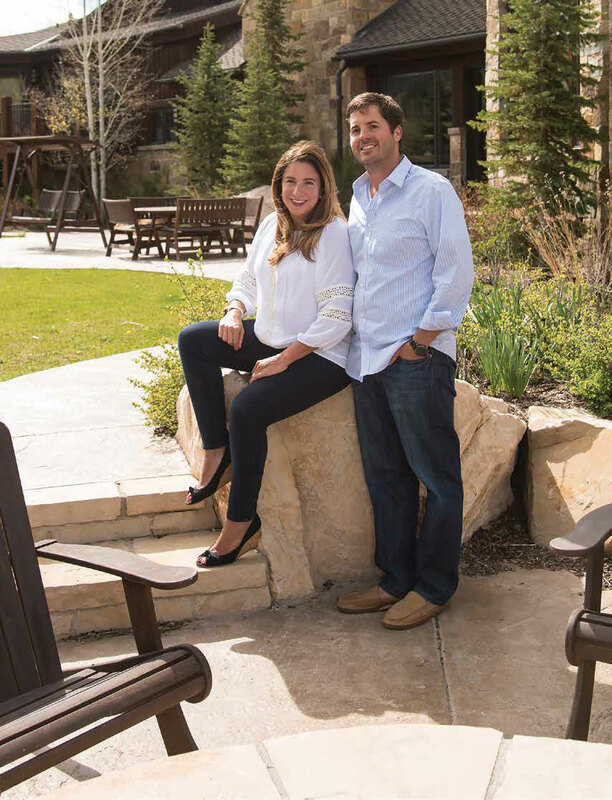 So slowly Abode Luxury Rentals took shape, and after a few years we were managing over 60 properties in Park City. 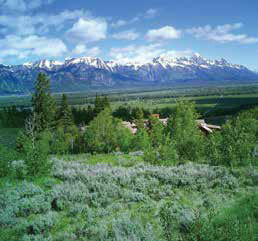 After about 18 months in the Jackson Hole market, we now have 15 homes in our portfolio here. It all began with a distinct focus on the work—the simple things that make a difference. We remain dedicated to our small family business roots with dedication to a great team and excellence in relationships. Our owners always comment on our triple-checked cleanings and our video walk-through prior to each check-in. Guests enjoy that we are available 24 hours a day, 7 days a week. We meet every guest at the property at check-in to show them around the home and to let them know how the amenities and electronics are operated. We also offer complete concierge service, taking care of everything from restaurant reservations, private chefs, in-home massages, and unique, exciting excursions. Abode Luxury Rentals makes it all happen seamlessly with style. What are the keys to high-end property management? Trust, loyalty and hard work—these are the values we built Abode Luxury Rentals on. We built the company around real relationships with owners who knew they could trust us with their cherished homes. As we grew, we built relationships with clients who found our service to be of the highest level.  What makes the difference between good service and great service? From an owner’s point of view, great service means perfect cleanings every time and consistently meeting and exceeding rental revenue goals. 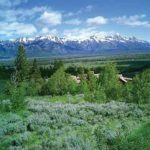 A second-home owner in Jackson Hole is looking for a peaceful and serene experience in the mountains. We are here to make sure that is the case. We pay close attention to upkeep, protection, and rental of the properties entrusted to us. We connect with our owners and guests on a personal level and always work to enhance the extremely valuable vacation time they entrust to us. We enjoy the relationships we have built with our clients. There is nothing better than doing a good job and making someone happy. The best part of it all is hearing the positive feedback from owners and guests. Our sales and concierge teams really go the extra mile to create dream vacations, and it’s a wonderful thing to know you have created amazing memories with the valuable vacation time people entrust to us. Our owners deal directly with me, and we make all of the decisions in-house. This sets us apart from our competitors, and it makes our work more enjoyable. This is a family business and that makes all the difference.